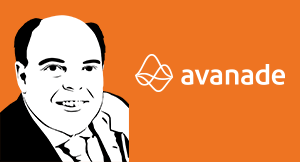 Thank you to Avanade for underwriting CXOTALK. Let's face it - data by itself is boring! As an executive in the technology services space for many years, it will not surprise you to hear that I've spent my share of business performance meetings either squinting at the 8-point font size or flipping back and forth between different views of the spreadsheets to understand my business performance. When I have to explain business performance to others in my organization, I switch to a more visual representation of the data to try and make it consumable and interesting, but it amazes me how quickly most people glance and turn to doing email before the blink of an eye when faced with data. My delivery and communications methods set aside, many would fundamentally agree with me when I say that basic business intelligence, data and analytics, reporting and the like can be quite boring – and I love this area of technology - It’s my passion and my life's work. While data in itself can often be boring, it is amazing to watch people light up with ideas, tell stories and jump into action when data gains context. In fact, data can trigger emotion and passion when people begin to see the stories that their data can tell and how they can put it into action. Understanding why something is important to someone and presenting it in the context of those needs is more likely to result in desired behavior and outcomes. Data without context and empathy for the desires of the recipient is what causes people to become disengaged from their data. The key is to create the linkage between the raw facts and an emotional response. Over an 8-year period, Harvard conducted research to identify 300 universal “emotional motivators,” resulting in more than a billion data points to develop a model that aligns emotional motivators with behavior and customer value across categories of purchases and brands. Going well beyond your basic spend and churn analysis, advanced analytics techniques enable organizations to engineer and optimize their entire organizational construct to highly focus their intentions, efforts and monetization strategies to drive loyalty and emotionally tuned business performance. Harvard provides a retail organization case study where this entire method is applied, yielding performance gains across loyalty, same-store sales, marketing ROI, email response rates and more - totaling 3-5 percent revenue growth in a 1 percent growth industry. By using advanced analytics across a host of data points tied to a customer experience, one dimensional thinking begins to tie to the fundamentals of human behavior into a digital framework for organizational transformation. Focus on Trust – Data & People. Building and maintaining trust between departments is foundational to building up a data supply chain that is easy to access and supplies trusted information to the organization. For example, one of our clients, Police Mutual, talks about the need to work side-by-side to change the customer experience between marketing and IT. Building trust between the teams that work with data also builds trust in the data, sources, analytics and outcomes. Trusting the data to support customer experience objectives is a foundational element to building more context and emotion into every customer connection. Data Curators - Connect Data & People. Practically speaking, beyond basic data access rights, which should always be well managed, there are always informal networks within the enterprise. These are particular people who are connected and access data, and apply an understanding of the business to the data to provide insights. Apply the principles of LinkedIn or Facebook to build a level of social engagement that create teams of people who can build and use that trusted data. Follow people to the insights and the connection to the customer experience. Design for the Customer Experience. Whether the customers are internal constituents or your ultimate end-customers, envision the experience from the inside out to establish an emotional connection with them. Designing from this perspective may require changes to foundational systems, processes and operations, even establishing new metrics and techniques to better focus on the right outcomes. Leverage data beyond internal sources, gather context from as many relevant points as possible to build your own emotional motivators model. As the above scenarios have shown, data has the power to add dimension, context and emotion to the equation of customer and employee experiences. 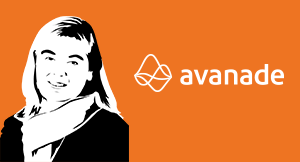 Avanade helps organizations transition into the digital era, bringing data to life in a way that enables deep knowledge of their employees and their customers, and ultimately drives actions and business performance. Sales effectiveness relies on a consistent, predictable and agile approach to the selling process. The modern sales force needs a digital workplace. Marketing Is Changing. Are You Keeping Up? It’s not just about bringing technology into marketing. It’s about becoming a digital business and what it means to focus on the customer. Digital is enabling a business model shift with data and analytics at the center of the shift.